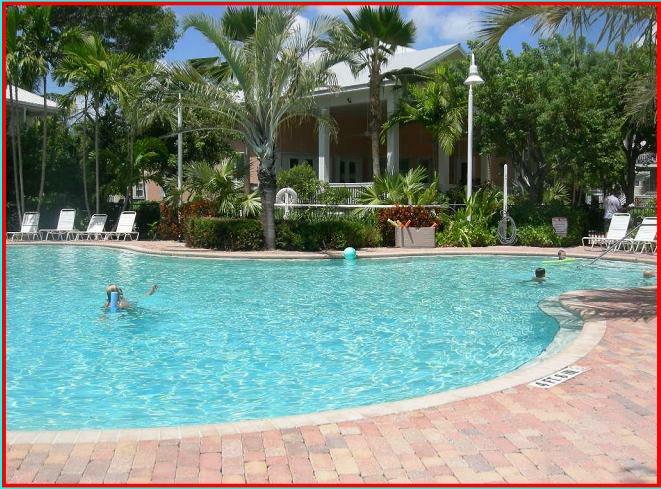 For those not familiar with Key West, we offer three different styles of rentals (home, condo & townhouse) in three of the best areas of Key West (Truman Annex, Coral Hammock, & Beachside Marriott). 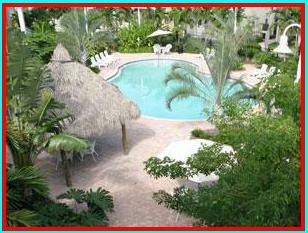 This page is devoted to Coral Hammock Royal Palm Houses. Built in 2004-2005, Coral Hammock is one of the newest gated communities with 55 luxury resort homes with a lavish Clubhouse and Pool and lushly landscaped grounds. These custom single family homes recall the romantic charm of old Key West with spacious floor plans, vaulted ceilings, "Conch" style porches and traditional metal roof. Located at "Mile Marker 5" and ideally located across from the Key West Golf Club and just down the street from world class fishing and other activities at Hurricane Hole Marina & Restaurant. You are close to all the action but yet secluded enough to enjoy your privacy. Key West is only a "2x4" island (two miles wide and four miles long) so nothing is far away! The two bedroom 2 1/2 bath house is directly on the pool and features a large patio/deck with great views of the shared pool. This house has a queen bed, two twin beds (which can be converted to a king), sleeper sofa and much more! Picture on right is from the deck of this house. 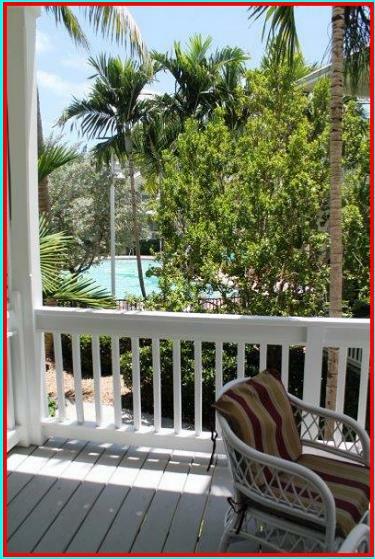 Click here for more info on our 2 bedroom Coral Hammock Royal Palm House! Click here to join Craig's Facebook page and receive notifications of all rental discounts & specials as well as prior guest reviews. 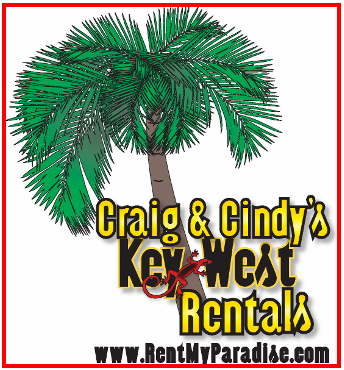 Click here to go to our video page to see 4-8 minute video tours of each of our Key West rentals (video tours narrated by Craig or Cindy - no laughing at the quality - we told you we were not a big slick rental company)! We truly love Key West and believe our properties are the best accommodations for experiencing paradise. We look forward to sharing them with you!